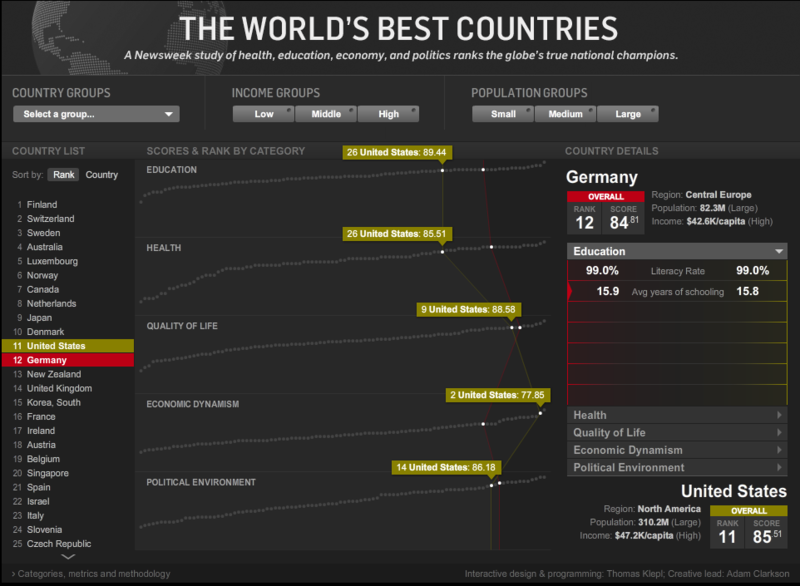 My business development manager found this great interactive graphic that plots out country comparisons on health, education, economy and politics. This is a really great comparison tool unlike anything we have seen in the marketplace. Kind of bums me out seeing how the United States basically ranks poorly even though we spend a TON of money on these 4 topics. Makes me wonder if we spend less if we would get better results… Anyway, jump off to the link and check out the site.